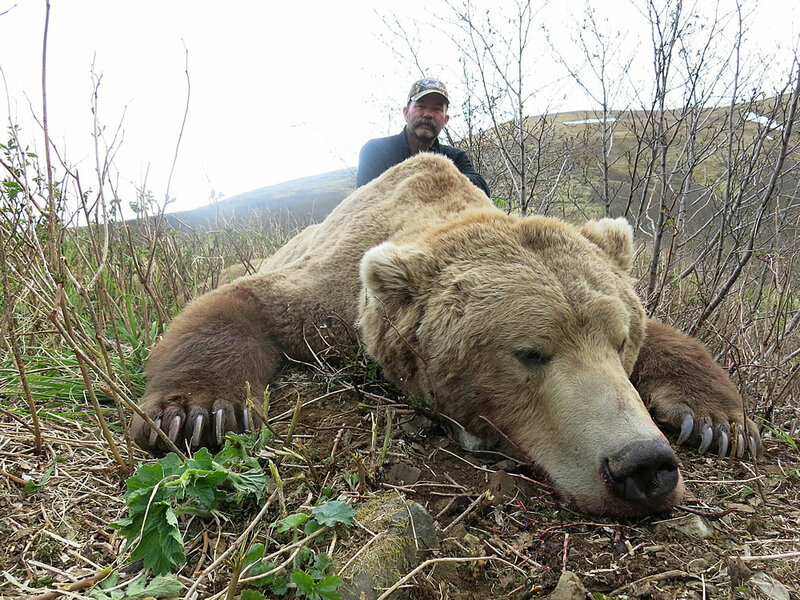 R&R’s Alaska Peninsula Guide Service offers hunts in Game Management Unit 9 on exclusive native land and public state land for some of the largest Brown Bear harvested in Alaska. Located between Port Moller and Cold Bay on the Alaska Peninsula, this area has some of the best genetics and largest population for Brown Bear the state of Alaska has to offer. The Alaska Department of Fish and Game manages this area as a trophy bear area. To accomplish this the seasons are restricted to fall seasons on odd years (i.e. 2017, 2019, etc.) and spring seasons on even years (i.e. 2018, 2020). The fall season is October 1-21 and the spring season is May 10-31. This management method has proven to be quite successful. This area has produced trophy bears with skull sizes exceeding 29” B&C and bears squaring in the eleven foot range for our past hunters. Our success rate has averaged over 90% in previous years for the hunters that take full advantage of the fourteen day hunts we offer. We strive to maintain an average trophy size greater than nine feet.